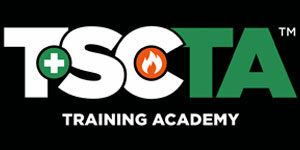 Dawid Ditrich joined TSCTA in 2009 and was promoted to Lead Technical Instructor in 2015. Dawid, who is bilingual and gives instruction in both English and Polish, is an OSHA 500 and 501 Outreach Trainer with extensive experience in Confined Spaces, Lockout/Tagout, HAZCOM and Incident Command Response. In 2015 Dawid successfully completed the OSHA 5600 Disaster Site Worker Train-the-Trainer Course and became NCCCO certified in Rigger Level I and II and Signalperson courses. 2016 is off and running with Dawid securing his Certified Safety Professional (CSP) with the Board of Certified Safety Professionals. Prior to his employment with TSCTA, Dawid, who has a B.A. in Health Science with a concentration in Environmental Health, obtained years of hands-on scaffold experience working on major construction and renovations programs installing and removing scaffolds in the NY area. Dawid also completed an internship at Covanta Power Plant, conducting daily facility inspections in an effort to recognize and correct hazardous conditions. Dawid combines his passion for safety and his field experience to lead the Curriculum Development Committee, a group of dedicated safety professionals, in the creation of innovative and effective teaching materials and methods. Dawid played Polish soccer youth national team, is a Star Wars geek and a new dad.